Oregon is one of those states that truly isn't oversold on it's grandeur- it's lush, it's dreamy, and there's enough waterfalls to make you shed a tear. 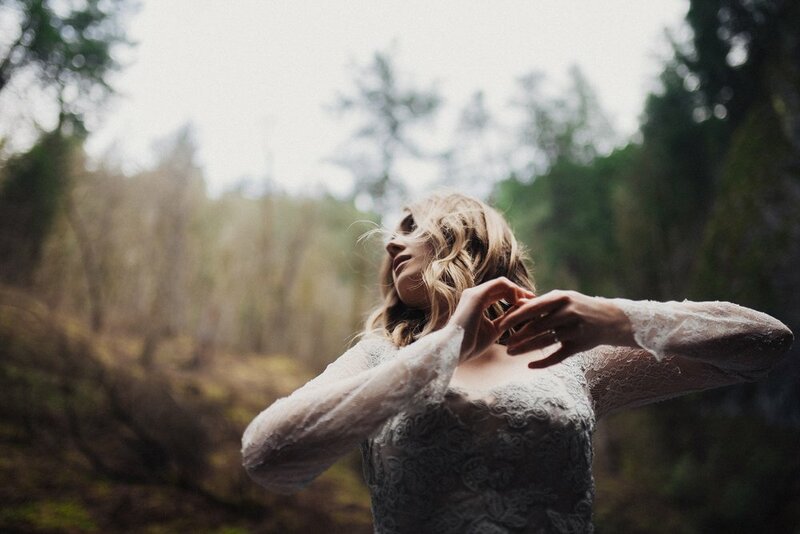 We made our way to Latourell Falls just outside of Portland to shoot the most perfect blue wedding dress from Jean and Jewel- Sasha, our model, was the absolute bravest and kept blazing as close to the falls as possible. Are adventurous waterfall bridals what you're wanting, too? Let's go together.